America Haunts, the industry leaders that operate the most amazing haunted attractions in America, has dug deep into towns and cities across the nation to bring its 2017 Best of Halloween Attractions list to life. Bringing the tradition of family-friendly fun, the top haunts have original concepts that touch all your senses. Doing so, visitors intimately experience the creativity around them, rather than walking single file and viewing a scene. Using life-like animatronics, Hollywood-quality sets, hundreds of staffers, elaborate costumes and trained actors, these haunts go the extra creepy mile to give guests the Halloween excitement of their life. It's a pure adrenaline rush! For example, creepy earthly scents of past or present are infused into the air inside one haunt, while others focus on outdoor formats where guests run into crazy clowns, transforming werewolves, ghosts and other ghouls lurking down every path. The number one haunt, The Beast in Missouri, is not only mammoth in size but it pioneered the "open format" where guests must face their phobia of getting lost and finding their way out! If you're lucky to escape by the four-story slide, it is a thrill of a lifetime! The question is if…you escape the famous Werewolf Forest! America Haunts has stringent criteria to earn a spot on its charts and being Monsters at Heart, this board knows what it takes to be the Best! Top attractions - inside haunted houses; outside on dark nature trails or on hayrides to Hell - must be wildest and scariest enough to make the bravest souls cling to friends and family who dare enter with them. 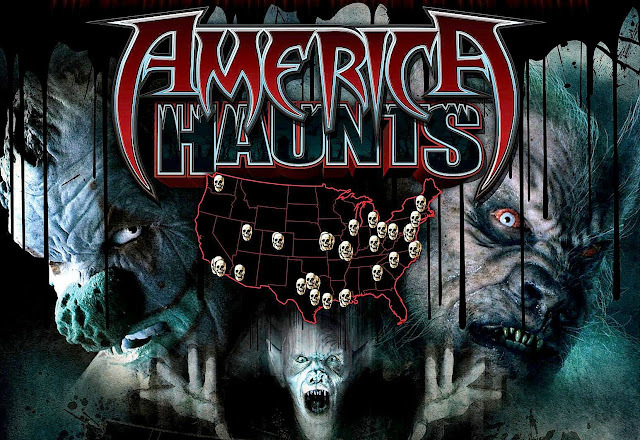 With more than 28 haunted attractions nationwide, America Haunts delivers fear-based entertainment to more than a million thrill seekers annually. America Haunts is featured on the Travel Channel and members recognized by The Guinness Book of World Records. The organization is committed to providing technical excellence, stunning set design, Hollywood-quality make-up, costumes and actors. Members enjoy nothing more than delivering, a good old-fashioned scare.